Humectants are used in hair and skin care products to promote moisture retention. They have the ability to attract water from the atmosphere. Many different molecules have the ability to be effectivehumectants. How well they do this depends on how many water-loving sites they contain for hydrogen bonding with water molecules. The strength of this bonding between the humectants and water improves moisture retention by minimizing water loss due to evaporation. Because of their water-binding abilities humectants are ideal for dry, thirsty hair. Because the weather impacts the health and state of our hair, it’s important to understand how they should be used in various climates and how your hair care regimen should be modified from one climate extreme to the next. Low humidity conditions are those such as cold, dry winter air. In this case, if you use products that contain a lot of humectants, there is not a lot of water in the air for the humectants to attract to the surface of your hair. 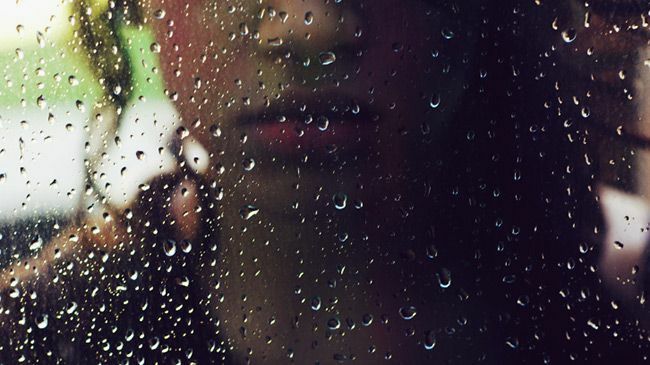 What can occur is that the humectants in your products may prevent the evaporation of water from the hair into the air. However don’t look for ultra-moisturized hair fromhumectant use in this type of climate because it’s just not going to happen. In fact there is a chance thathumectants may remove moisture from the cortex of the hair into the air. Remember diffusion? Moisture will move from areas of high concentration (in this case the hair) to areas of lower concentration - the air! This can result in dry, icky feeling hair. Not cool! What you need to know is that the dew point is associated with relative humidity. The higher the dew point, the more moisture there is in the air. There are several different types of humectants found in skin and hair care products. For a pretty comprehensive list please refer to this article by our Curl Chemist Tonya McKay. 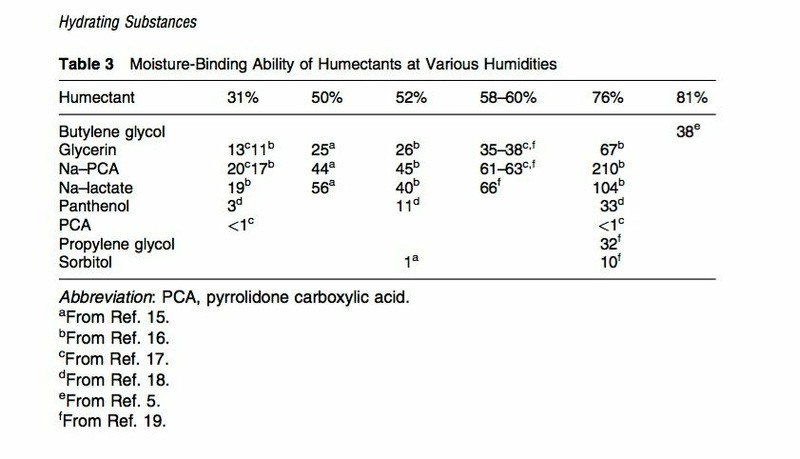 What this chart shows is that glycerin, sodium PCA, sodium lactate and propylene glycol are humectantsthat have really strong water-binding capabilities while the other humectants have less. While not a complete list of humectants it shows the major ones available in hair and skin care products. This article was written by Susan Walker for CurlyNikki.